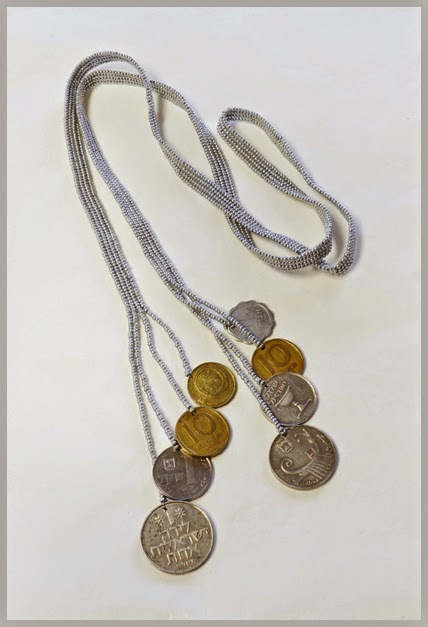 A handful of years ago, I decided to start a Judaica Collection. I was certain I could do it. What I learned very quickly is...it's NOT that easy. Initially I designed some higher end and beautiful beaded pieces, with Star of David iconography in fashion colors. I also designed a line of kippot in fashion colors. I learned almost immediately that the synagogue gift shows absolutely did NOT want fashion colors. Everything needed to be neutral. Neutral blues. Neutral blacks & greys. Neutral cream and beige. I also learned that pricing for the most part was key. I was told over and over by volunteer buyers that they could not sell anything that was expensive. It put the kabosh on most of my initial designs. 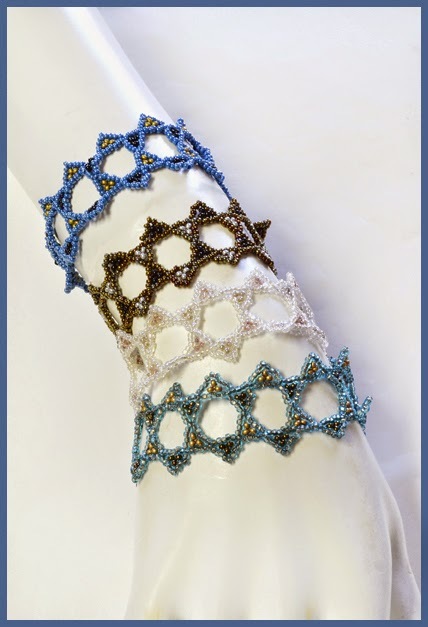 Since then, I've reworked my kippot collection - focusing on more conservative colors. My little row of Stars of David bracelet seems to be the design with selling legs.